When they decided to move, Jamie knew she was giving up some storage space. So, being organized in her new home was a top priority. Her new drawers are all different sizes and she needed to utilize every inch. She used the online design tool to create six organizers that she designed to contain her things just the way she wants. Jamie Mason is not your run-of-the-mill homeowner. She is a full-time realtor with degrees in both finance and interior design. She spends her days helping people find and sell homes, stage their homes, and offers design consultation post-purchase. She is entrenched in the home and design market daily. Jamie and her husband recently moved into a loft condo in the Canal Street Malt House in Baltimore, Maryland. The Canal Street Malt House is a cool, industrial style loft complex located in Baltimore’s Little Italy. When they decided to move, Jamie knew she was giving up some storage space. So, being organized in her new home was a top priority. Their new kitchen is about 30% smaller than in their former home. 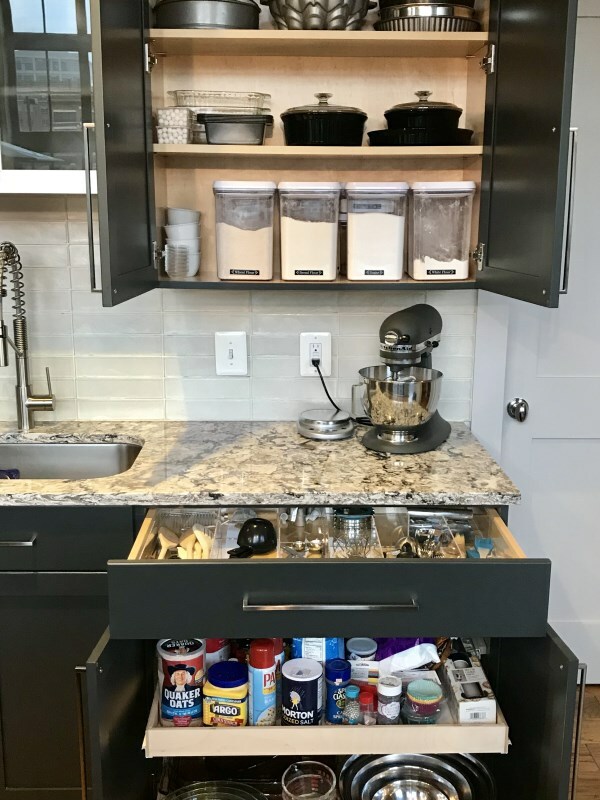 “I had previously used store-bought organizers, but they were never the right sizes for the drawers, so they left a lot of unused space,” said Jamie. Her new drawers are all different sizes and she needed to utilize every inch. Jamie searched the Internet for a solution and found Organize My Drawer. She was thrilled to find a place where she could design her own organizers, at her convenience. 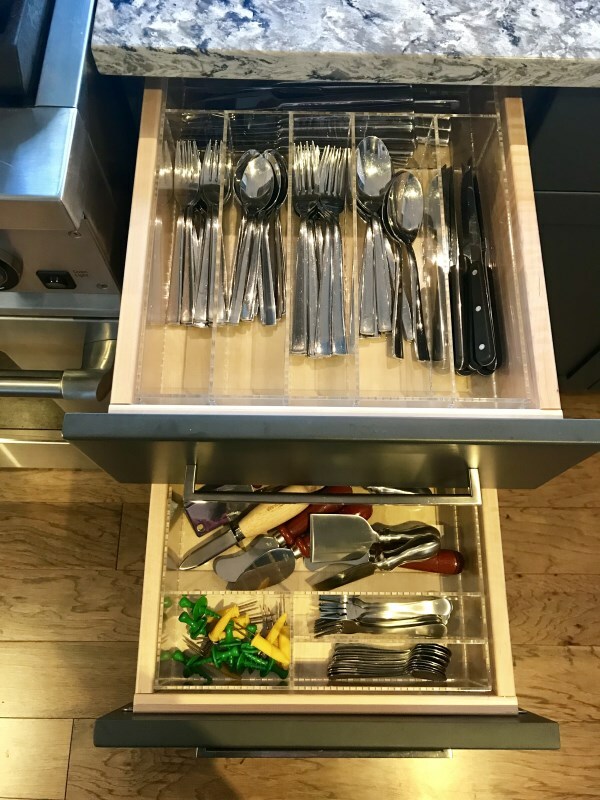 “It’s wonderful to be able to get an organizer that is exactly sized to fit the drawer, leaving no wasted space,” said Jamie. While Jamie and her husband have less space in their loft condo, thanks to their customer-designed organizers, they don’t even notice! People are as different as the stuff they own and use every day. The idea that a standard organizer will work efficiently for most people is just not true. Thanks to Organize My Drawer, everyday people no longer must settle for less-than-perfect organizers. Disorganized drawers make me feel like my life is chaotic. 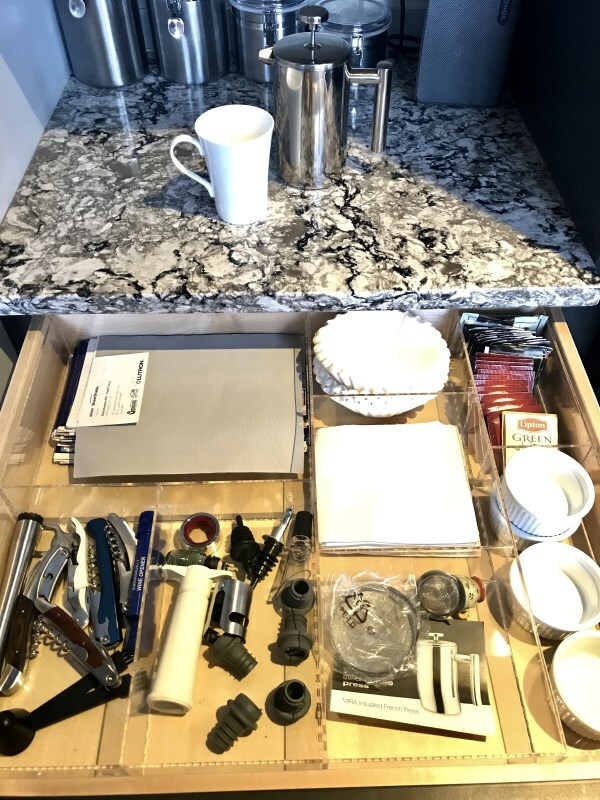 I much prefer opening the drawer to see a perfectly designed organizer with everything in its place! The new organizers have helped me make better use of my new, smaller kitchen space. I don’t really feel as if I’ve downsized at all! I had previously used store-bought organizers, but they were never the right sizes for the drawers, so they left a lot of unused space. It’s wonderful to be able to get an organizer that is exactly sized to fit the drawer, leaving no wasted space! The Canal Street Malt House is a cool, industrial style loft complex located in Baltimore’s Little Italy. It was converted into urban lofts in 2005. The industrial lofts are complete with a unique blend of exposed duct work, columns, steel, brick and wood. Before it was called the Canal Street Malt House, it was known as Solomon Straus’s Malt House. It was originally built in 1866 at what was then the corner of Canal Street and Fawn Street. Canal Street was named for the canal that ran through the middle of the street and still runs under the road today. It was built to store malt for the city’s growing brewing industry. In more recent years, before becoming the loft complex it is today, the building served as a warehouse for the Atlas Food distribution company and as studio space for artists.